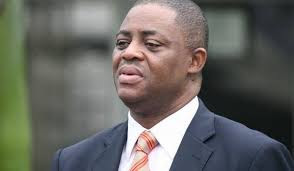 The passport of Nigeria's former Aviation Minister, Mr. Femi Fani-Kayode, has been confiscated by the EFCC as part of his bail conditions, Punch reports. Mr. Fani-Kayode has been in EFCC detention since last week Monday when he honored an invitation from the agency. He was to be quizzed on funds he received to campaign for ex President Goodluck Jonathan. Mr. Fani-Kayode was Jonathan's Campaign Manager. According to spokesman for Fani-Kayode, Mr. Jude Ndukwe, EFCC still refused to release the outspoken PDP chieftain despite meeting the bail conditions. “The EFCC gave him two bail conditions. The first condition was that he would hand over his passport while the second condition was for him to provide two sureties. The two sureties must be at least directors in the civil service and must have properties in AMAC (Abuja Municipal Area Council). “Five days after meeting the conditions, the EFCC has refused to release him," he reiterated. Last week, the EFCC said it had secured a warrant that allows it to detain Mr. Fani-Kayode for two weeks.